Can a new structure uphold cultural integrity and direct benefits to rightful owners? From the extraordinary properties of 'superfood' gubinje, widely known as Kakadu plum, to the global success of Central Western desert artists whose works are steeped in their understanding of country, mythology and stories, the Indigenous knowledge of the First Australians is increasingly recognised and in demand for the unique benefits it brings. Tourism authorities, airlines and other corporations use Indigenous knowledge to prominent and various effects. In the case of Kakadu plum, health and cosmetic companies are zooming in now that scientists have shown what Aboriginal people have long known – that it's an effective analgesic, antiseptic and anti-oxidant. Its super-high vitamin C levels – reportedly the world's richest source – and flavour also put it on the shopping lists of food manufacturers and chefs. Some ask permission, some do not. Sometimes money changes hands, sometimes not. Piracy proliferates with Indigenous knowledge, with glaring examples in 'Made in China' didgeridoos and boomerangs on market stalls to artworks reproduced on fabrics, homewares, T-shirts and tea towels, to name just a few. Traditional knowledge that has evolved over millennia and passed through generations by practice and word of mouth is not well understood beyond the communities from which it emanates. In the 21st century, law-makers, regulators, governments, academics and Indigenous communities are considering pressing questions concerning not only how to protect and preserve traditional knowledge, but how Indigenous communities can control and ultimately benefit from its use. It's a global effort, prompted by the Nagoya Protocol under the UN Convention on Biological Diversity. Signatories to the protocol commit to establishing "a competent authority" to govern and administer a framework that ensures informed consent is given for access to Indigenous traditional knowledge, and that the benefits are shared equitably. While Australia has signed, but has yet to ratify the protocol, a multidisciplinary research group has convened for the Garuwanga project – with the help of an Australian Research Council linkage grant – to explore the issues for and with Australia's Indigenous communities, and to recommend a structure for an authority in 2018. Get it right, and a new authority has the potential to take Indigenous people "from welfare to wealth creation", says Natalie Stoianoff, a professor at University of Technology Sydney law school, and the leader of the three chief investigators on the project. Determining the appropriate structure and operating mode for a competent authority is no small task and the issues it will address are complex. For example, reported cases of infringement of Indigenous artists' copyright or insufficient payments for usage rights abound, so it first seems logical to explore the issue through the lens of intellectual property or copyright law. Not so. Traditional knowledge has taken thousands of years to accrue, yet copyright law extends only 70 years after an author's death and a patent protects inventions for 20 years. 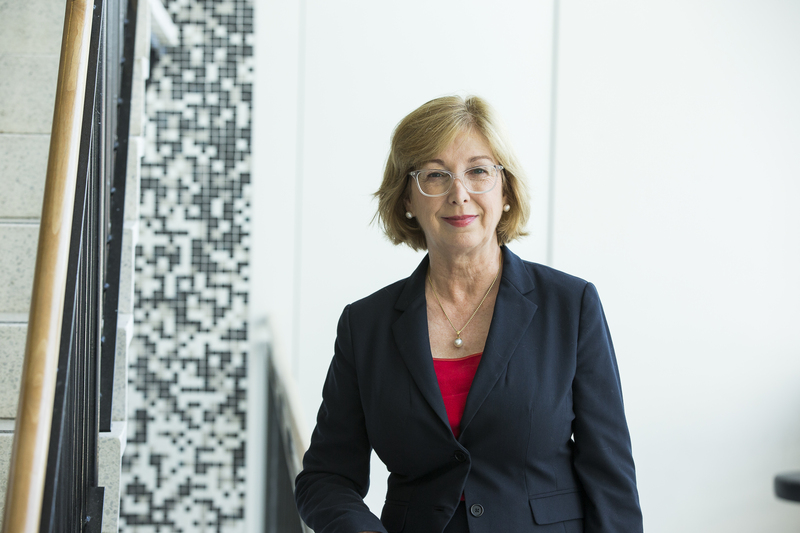 "The current legal system does not protect traditional owners from being exploited," notes another chief investigator, Fiona Martin, an associate professor at UNSW Business School. "If we're talking about traditional stories, for example, there's no legal protection because the authors are lost in history." Big questions arise: Who is the owner? Who should receive benefits? And, how can they be shared? Another complexity is the interface of Western law, which assigns rights to individuals, and Aboriginal law, which recognises custodianship of the community. Academic and activist Anne Poelina, a Nyikina traditional custodian from the Mardoowarra (Lower Fitzroy River) in the West Kimberley region, and one of four Indigenous partner investigators on the research project, sees a new authority as a collaborative opportunity that can be "transformational" for all. "We have survived for so long because we're about collective wisdom, collaboration, co-management, co-existence and consensual decision-making. It needs to be based on cooperation rather than a conflict paradigm," she says. While the breadth of Indigenous knowledge seems limitless, Poelina focuses on what she calls "Indigenous science – knowledge that's been produced from experiential learning, observation, and adaption to complex and complementary systems over thousands of years of living in close relationship with the land, the water and each other". A big picture thinker, Poelina is talking about indigenous plants that may overcome the problem of antibiotic resistance, and integrated land and water management systems that provide indicators in the natural environment which help us to respond and measure impacts of climate change. "We have a lot of knowledge systems that, when we open our minds, we come to know what their potential is for transformational change," Poelina says. "We need to understand that knowledge has a whole range of values, including both intrinsic and commercial or economic value. Once we start to share it with others, particularly the knowledge of plants and land systems, and it goes from a private into a public space, then it has a value for humanity. "The question for us is: how to do it ethically, so that Aboriginal people can be remunerated for that knowledge, and we ensure the benefit sharing is equitable? "Indigenous people are becoming entrepreneurial and [looking] to find partners for wealth creation opportunities on country, around sustainable livelihoods: ecosystem services, wild harvest and bio-prospecting [seeking plants and animals for medicinal and other commercial purposes] as well as cultural tourism and geo-tourism," Poelina says. Martin, who brings expertise in taxation and charity law to the project, says the authority may need to take different forms in different communities, due to the diversity of Indigenous groups in Australia. The 250 language groups accounted for at the time of European settlement have dwindled to around 120 actively spoken languages today, reports the Australian Institute of Aboriginal and Torres Strait Islander Studies. Indeed, within the communities themselves, consent from different people as knowledge holders in different fields will be required, Martin points out. An earlier white paper by Stoianoff and colleagues focused on natural resource management in NSW and recommended an authority be formed under standalone legislation to fully address the issues required. It recommended different tiers to the authority to provide for local engagement, including regional offices, and a fee-for-access public register as well as a confidential register of knowledge resources. The white paper states that the authority may also offer models of contracts and legal referrals for access agreements as well as educational materials. It may also suggest protocols for communities to make decisions about ownership of patents, relevant payments for use of traditional knowledge and distribution of any benefits received. Consultations with Indigenous communities for the paper also revealed the importance of an appeal process and an objection procedure for benefit-sharing. On their quest for insights, the Garuwanga project researchers have also looked offshore. Brazil, Cook Islands, Costa Rica, Ethiopia, India, Kenya, Niue, Peru, The Philippines, South Africa, Vanuatu and Zambia already have bodies charged with regulating access to their traditional knowledge, and benefit-sharing. Some use existing authorities, such as the national intellectual property office or ministry of environment, to act as the competent authority. Others have established entirely new bodies. Next steps for the Garuwanga project involve direct consultation with communities before a structure for a new authority is put forward. Perhaps not a moment too soon. Reports of commercially driven gubinge harvesting in Indigenous communities have been growing recently, along with concerns that the fruit's unique qualities will see it cultivated extensively in other countries. There are fears it may go the way of another native 'superfood', the lemon myrtle. Long known in Indigenous communities for its anti-fungal, anti-bacterial and antimicrobial qualities, lemon myrtle also contains nature's highest edible concentration of calcium. It now grows in plantations across Malaysia. Page last updated: 21/06/2017 11:36 PM Disclaimer Some pages on this website are updated dynamically on a regular basis. This may not be reflected in the ‘Last updated’ date.